We’re excited to announce a brand new deal for our email subscribers. 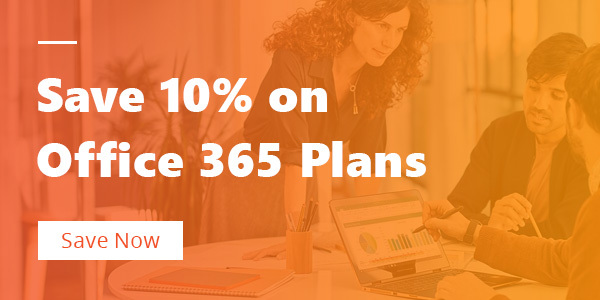 For a limited time, purchase Office 365 annual, or monthly subscriptions, and receive a 10% discount on your first billing. No confusing terms and conditions here. Add a new plan or switch over to Hypertec Direct, and we’ll give you a 10% discount per seat. Just sign up to get on the list and we’ll help qualify you for savings. Once we have your interest details, we’ll follow up with a quick review of your current Office plan. If you haven’t made the switch to Office 365 yet, we have an abundance of resources to get you up to speed. Check out our Office 365 resources for full plan breakdowns, feature comparisons, and videos. *Purchase O365 Enterprise E3, E5, or Business Premium, either annual or monthly subscriptions and receive a 10% discount on your first billing. Additional details apply, ask your account manager for more info.